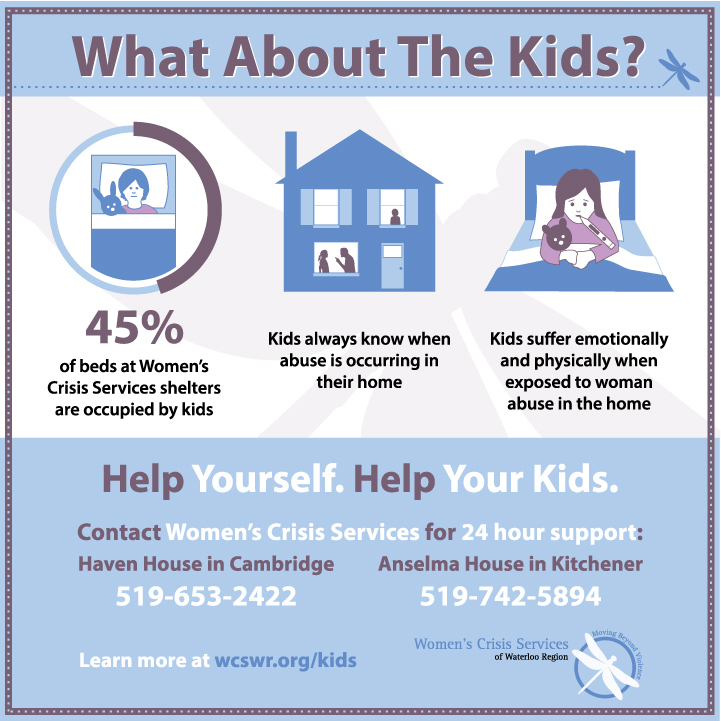 We have reached out to women in Waterloo Region to raise awareness of woman abuse and how we can help. 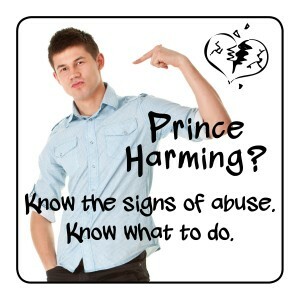 Is your Prince Charming … turning into Prince Harming? This campaign reaches out to young women (18 – 25) to help them know the signs of an abusive relationship and know what to do to get help. It includes a video on how texting can be used to control, a song about a young women who discovers her “Prince Charming” was harming her by being controlling/abusive and a photovoice project where 4 young women share the signs of abuse with their peers. This campaign reaches out to mothers of young kids (generally 25 – 35 years old) to let them know how woman abuse damages kids even if they don’t think the kids are aware of it. The goal is to get mothers to take action to protect their children and themselves and to connect them to our services so they can begin to heal and move beyond violence. 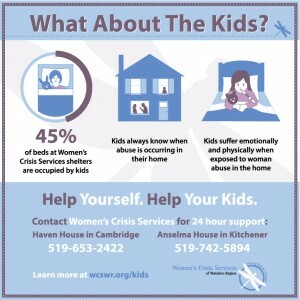 It includes an infographic (image & video) that shares facts about how woman abuse affects kids and how we can help. It also includes a video that uses art and words of kids staying at our shelters about their experience living in a home where the adults don’t have a healthy relationship.